Meet Bailey! 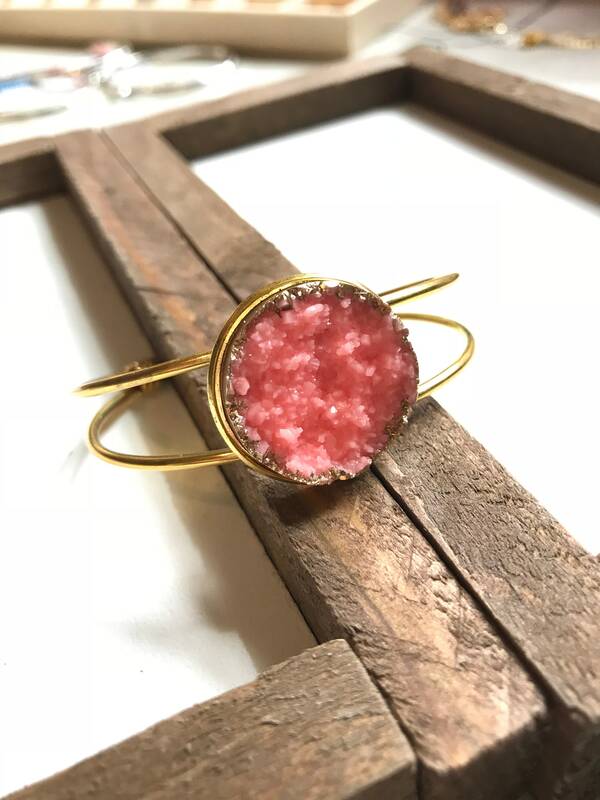 Our druzy bangle is sparkly and lightweight, gorgeous in a stack, or stunning on its own. Perfect for a bridal party, birthday or graduation gift, or just for you! Comes in a drawstring gift bag.